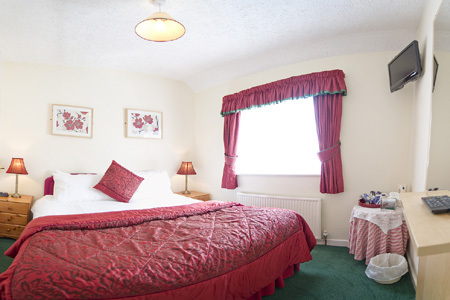 Green Haven Bed and Breakfast has seven bedrooms. All are en-suite, with large, powerful showers. 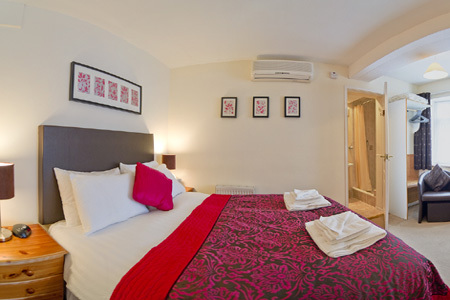 Two of the bedrooms are situated on the ground floor and have easy access showers with grab-rails. 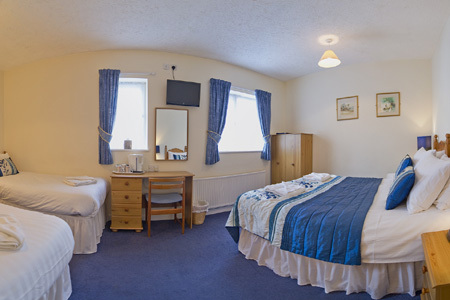 Each room has freeview tv, wireless internet connection, complimentary beverage tray, hairydryer and radio alarm clock. 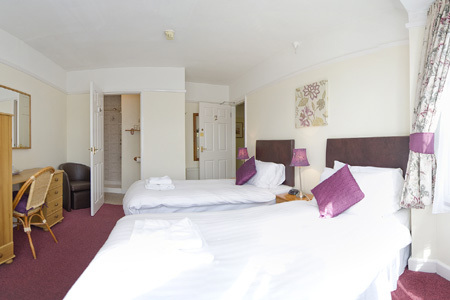 Freshly laundered towels and toiletries are also provided. 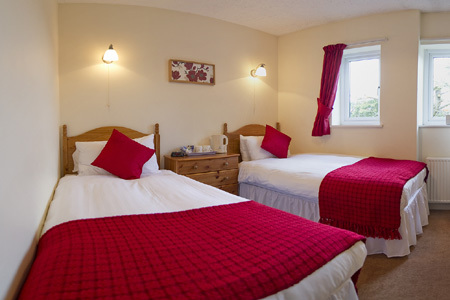 There are two family rooms which accommodate four to five guests. 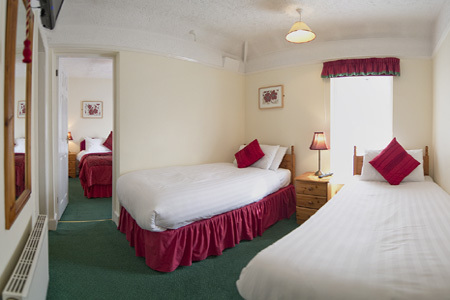 A triple room, which can be arranged either as a king-size bed and one single bed or alternatively, as three single beds. 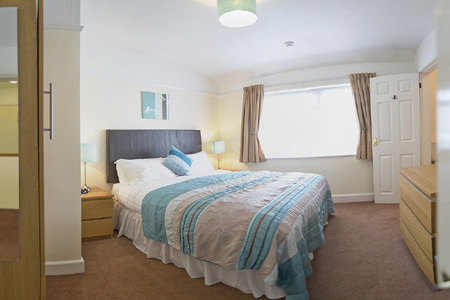 One kingsize bedroom, one double bedroom and two twin bedded rooms. All guest rooms are centrally heated with individual, adjustable thermostatic control. Both front door and room keys are given to guests on arrival to enable them the freedom to come and go as they please.